WITSTRO flash system is an AD180 or AD360 with bare tube, external power pack, wireless manual power control, and a range of dedicated light shaping accessories. The WITSTRO is 3 to 7 times powerful as typical hotshoe flashes with the size and weight alike. 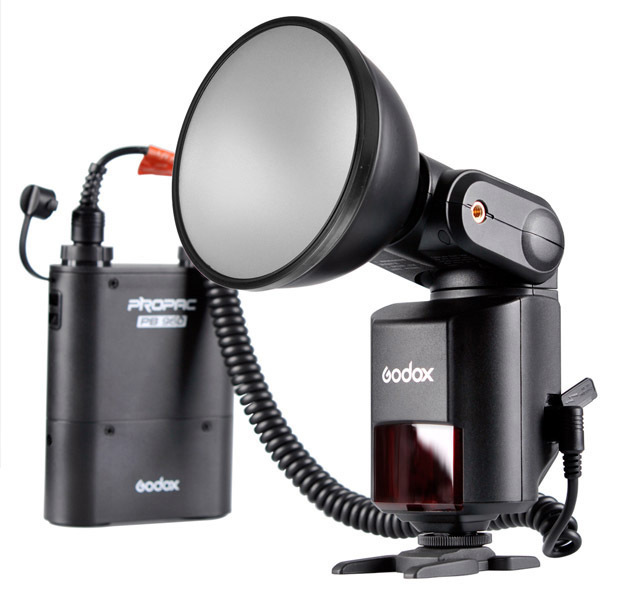 It offers studio quality lighting in outdoor photography, either as a hotshoe flashgun or an off-camera flash. Perfect for outdoor photography and journalistic portrait shooting in wedding, conference, party, celebration, and sports events, beach, etc. Include standard reflector, reflector filters, umbrella-style reflector, multifunctional softbox, beauty dish, snoots, color filters, wide angle diffuser, etc. Accessories are light and portable with compatible mount.